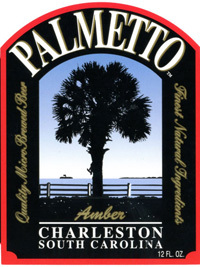 The first style of beer crafted when Palmetto Brewing opened in 1994, Amber Ale features CaraAroma, Caramunich and Victory malts and Columbus, Chinook and Zythos hops. Crisp malt aromas lift from the glass of this South Carolina belle. The first sip commences innocently enough with a slightly sweet, soft malt presence that’s nice and clean. But just like a Southern belle scorned, all of a sudden this beauty knocks you a bit sideways with a hop wallop that comes out of nowhere. And just like an unexpected sting from a seemingly sweet Southern accent, that face full of hops lingers long after you think you should be over it. And, while there’s a little something missing in the middle, this is a more interesting beer than anticipated. Palmetto’s Amber is a nicely made beer, actually pouring a bright copper color. Caramel, cookies and delicate mangolike fruit tempt you in the aroma, and there’s smooth caramel also in the slightly salty taste, although not as much as expected, as notes of passion fruit and orange blossom push through. The finish is firmly bitter and dry but still floral, before tangy hops take over. This is a full-flavored beer that keeps the taste buds busy although, personally, I’d have liked a bit more malt character to counter the hops and esters.